Please join me in voting for our 2017 Democratic ticket. At the state level, it’s important to keep Virginia moving forward with strong support for quality education, good affordable health care, and modern infrastructure throughout the Commonwealth. We need inclusionary policies that help everyone reach their potential. Vote for Ralph Northam for Governor, Justin Fairfax for Lt. Governor, and to reelect Mark Herring as Attorney General and your member of House of Delegates. Locally, I hope you will vote for Monique O’Grady for School Board. She has long experience with our schools and is committed to achievement for all our students. I also hope you will vote for Erik Gutshall for County Board. He and I have had several good, constructive conversations recently about the challenges facing Arlington. Erik has depth of experience and knowledge of the many land use issues we face and is committed to good government. I know he will be a good addition to our County Board team. Polls are open tomorrow, Tuesday, November 7th, from 6 am to 7 pm. You vote at your regular polling place. Please remember to bring an acceptable photo ID with you to the polls. 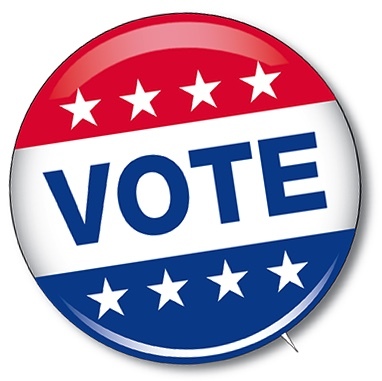 If you need assistance voting or a ride to the polls, reply to me or contact the Arlington County Democratic Committee at 703-528-8588 or info@arlingtondemocrats.org. Please encourage your friends and neighbors to come out and vote as well. Together, we can keep Virginia moving forward!